The new year will be here before we know it! What steps have you and your leadership team taken to strategically plan for growth and success in 2016? Successful business owners practice strategic planning (or as I like to call “strategic thinking and execution planning”) to set priorities, strengthen operations, create goals and assess what needs to change within their business. You must think strategically to create realistic goals that will lead to your overall big picture, tying all aspects of your business together to reach the long term vision you have for your company. You must then plan your course of actions, or execution, in accordance to your goals. Prior to starting a new year, you need to go through this process of setting new goals and priorities, and identifying the actions that will need to be fully executed. Yes, I said prior to January 1st! Strategic planning takes time, and while you may be busy right now… you’ll be just as busy (if not more) after the start of the new year! Don’t procrastinate, ring in the new year with an action plan ready to be implemented. Reflect on 2015. What worked well? What didn’t? Why? These are the first questions you need to ask yourself and your team when strategizing for 2016. What did we learn this year that you do not want to go through again, and how will we respond differently this year? You may know the John C. Maxwell quote, “Change is inevitable. Growth is optional.” It is important to learn from your 2015 trials and errors to keep your business changing for the better. Review the current state of the foundation of your organization. Review your company’s core purpose (why are we in business), core values (how we act), and core competencies (what we choose to be the best at). This foundation is the definition and purpose of your organization, and will help you to not lose sight of the big picture. Take a look at how your current performance compares to your mission. How are you doing and what do you need to do to take it to the next level? Review your BHAG (Big Hairy Audacious Goal), your long-term, “in 10+ years from now…” goal. How are your actions today helping or harming where you want to be tomorrow? It is important to analyze your progress and understand what actions your company must take to move closer to your goal. Your BHAG should stay concrete (until you meet it, of course), but the actions you take to get you there should change regarding circumstances. Review your core customer and your brand promise. If you haven’t already, define your “core customer,” by not only identifying their demographics, but also their psychographics (i.e. their wants, needs and fears). How does your company fulfill their needs? Your brand promise is what your company promises to do for the customer that they see value in, and separates you from your competitors. By fully understanding your customer’s psychographics, you will better understand how to take your brand promise to the next level. Establish and/or review your measuring methods put in place to track how well you are fulfilling your brand promise. Discuss and agree upon industry and market trends. Look at your business in comparison to your competitors and your community. How has the market changed in the past year? What is currently influencing your customer’s buying behavior? How can you capitalize on it? These questions can help you identify trends within your market that should lead to change in 2016. What are the current hardships affecting your industry? Who is the big leader in your industry and what have they done to pave their way to the top? Identify 8-10 trends that will help you make better, knowledgeable decisions. Ask your team throughout your organization to do the same! Conduct a SWOT analysis. Internally, what are your organization’s strengths and weaknesses? Externally, what are your opportunities and threats? Brainstorm with your team, and only select the top three that you will take action on in the new year. In 2016, what strengths will you leverage stronger and what weaknesses will you address? What market opportunities will you take advantage of and what threats must you be prepared for? By reflecting on how your business progressed in 2015, you will have the knowledge and the foundation for realistic goal setting. 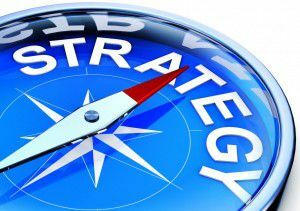 In my next blog, I will continue to outline the process of strategic planning by sharing best practices for creating goals, priorities and action plans. On December 10th, I am conducting a one day planning session to help you and your team plan for 2016. Click here to sign up! Register today to get your pre-work and be ready to create a powerful direction for 2016 and beyond!